Don’t dump it – donate it! The Reuse Project is the University of Brighton end of year reuse scheme, which runs across our halls of residence supporting local charity, ‘Now! Charity Group’. Instead of throwing away any items you no longer need when you move out of halls of residence, donate them to charity through the Reuse Project – to reduce waste, save natural resources, and help local people in need. We work in partnership with a local charity, Now! Charity Group, who collect the items for sale in their shops, and to reuse in their initiatives helping disadvantaged people in the local area. 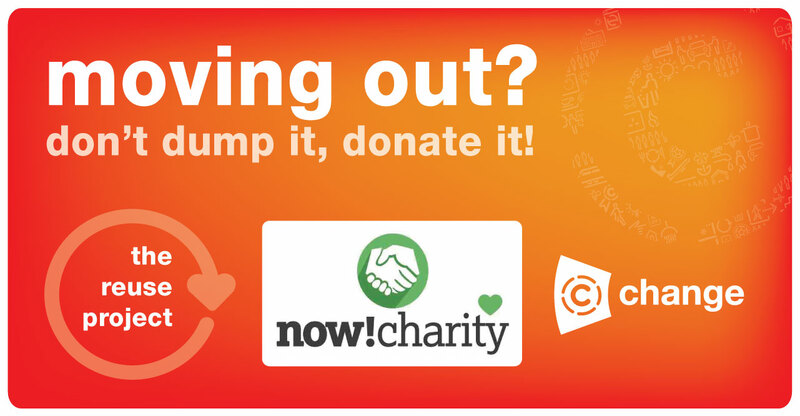 In summer 2017 ‘Now!’ collect over 700 sacks of donations which have gone towards helping local people in need, either by being sold in their charity shops, creating revenue which is ploughed back into delivering their work, or in their shops and training centres, to support the daily running of these activities. If you would like to find out more about ‘Now!’ and their work, visit their website. The Reuse Project has launched in all halls for summer 2018. 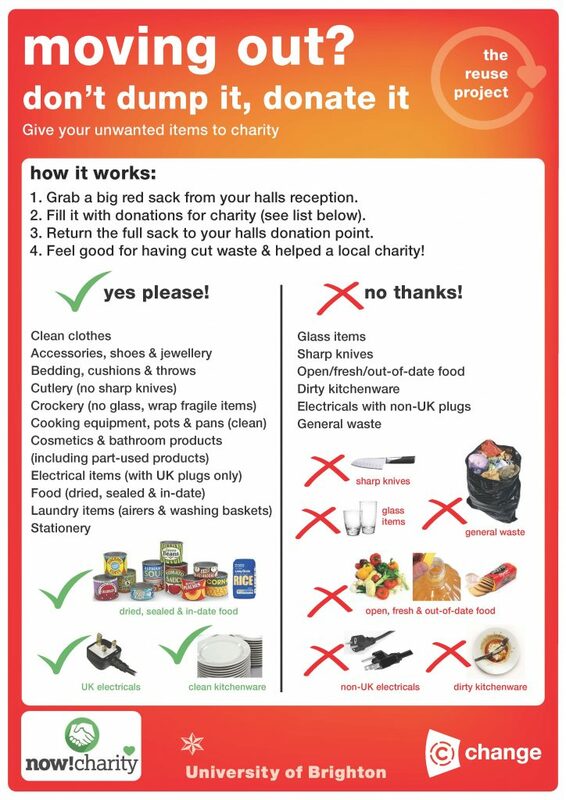 See the posters in your flat for details of what you can donate and collect a red bag to fill with donations from your halls reception. Collections can be received up until the move out date of your halls of residence.